I was actually supposed to announce this last month and run the first event in March, but with my computer dying and me losing all of the planning (and motivation) I had to delay it till now. Timing for this month is a bit awkward with WCS qualifiers. Monthly 16 player single elimination tournament. Top 8 from 2 qualifiers. Will continue to update this thread with relevant information. Last edited by Elusory; Tue, 14th-Mar-2017 at 4:12 PM. rip won't be home for both qualifiers hf all! With it looking like the SEA server is fixed for a lot of Australian players, and looking to include SEA and JP in this tournament as well, this 2nd qualifier will be hosted on the SEA server. Well done Probe. Great initiative! Last edited by ROOTProbe; Fri, 17th-Mar-2017 at 4:34 PM. Here is your first 8 players qualified through. Qualifier #2 starting in 25 minutes. 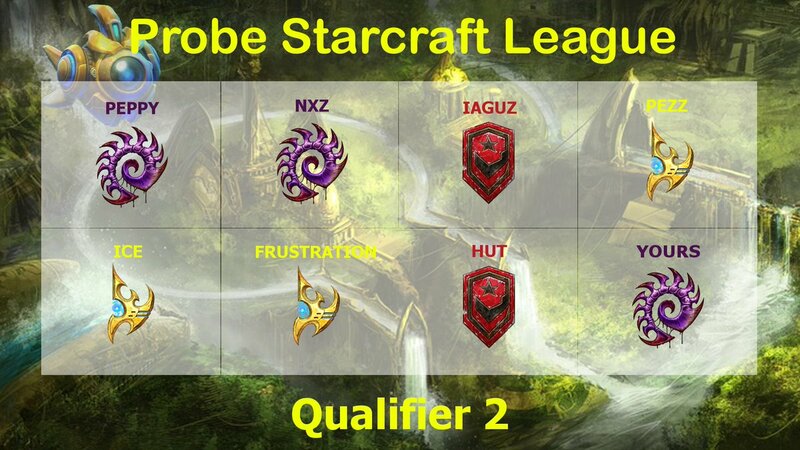 Congratulations to the top 8 from the second qualifier of Probe's Starcraft League. 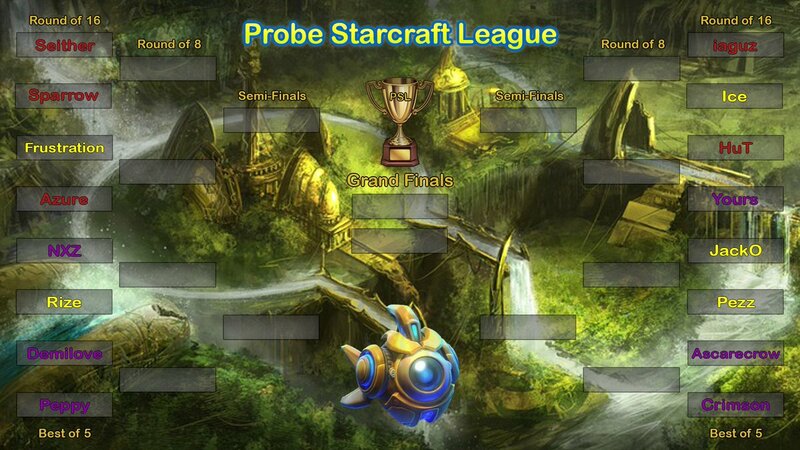 Main tournament will commence after WCS qualifiers. Players I will contact you between now and then. Ro16 of the main tournament begins tomorrow at Midday! Congratulations to Iaguz for winning the April Edition 3-2 over Seither.